New Delhi: Justice Dipak Misra, the senior most judge of the Supreme Court, was today appointed as the next Chief Justice of India. An official notification announcing 63-year-old Misra’s appointment was issued by the Law Ministry this evening. Misra will take over from incumbent JS Khehar, who will retire on August 27. Justice Dipak Misra is a judge of the Supreme Court of India. A former Chief Justice of the Patna and Delhi High Courts, he is in line to become the Chief Justice of India in 2017, succeeding Justice J. S. Khehar. He’s the nephew of Ranganath Misra who too was CJI from Sept 1990 – November 1991. 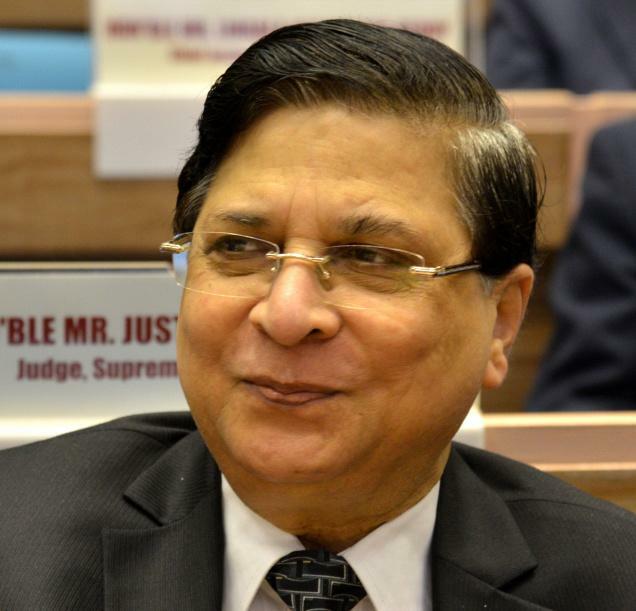 Justice Dipak Misra born 3 October 1953. Justice Misra enrolled at the Bar on 14 February 1977 and practised at the Orissa High Court and the Service Tribunal. He was appointed as an Additional Judge of the Orissa High Court in 1996 and was later transferred the following year to the Madhya Pradesh High Court, where he was made a Permanent Judge on 19 December 1997. In December 2009, he was appointed Chief Justice of the Patna High Court and served until May 2010, when he was appointed Chief Justice of the Delhi High Court. He served in the latter capacity until his elevation to the Supreme Court on 10 October 2011. Justice Misra has a tenure of almost seven years at the Supreme Court and is in line to become Chief Justice of India in 2017. He is then expected to have a tenure of just under 14 months as Chief Justice.